According to The Real Deal, prolific architect Karl Fischer died at age 70 on March 12. 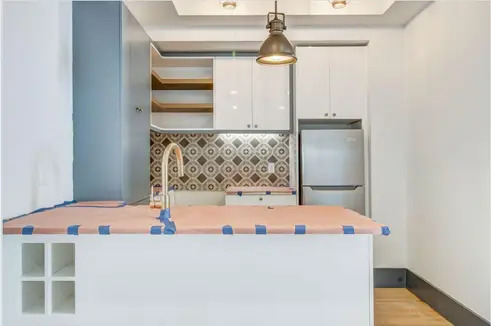 While his projects might have been too polarizing for him to be considered a “starchitect” by the usual standards, his work is nevertheless impossible to ignore: His firm Fischer + Makooi Architects was among the busiest of 2018 (as chosen by The Real Deal), and examples of his work can be seen from Prospect Lefferts Gardens to Yorkville. 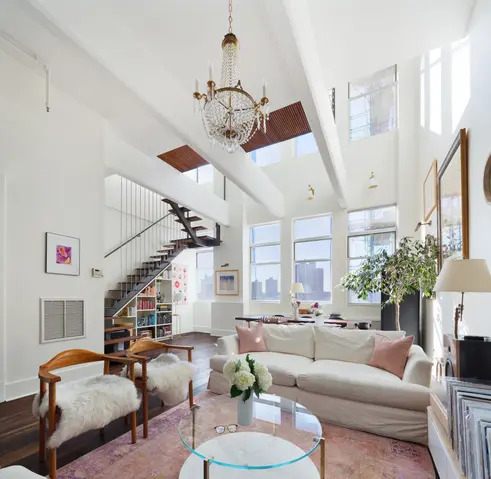 Most notably, his designs had an impact on Williamsburg, ushering in what proponents call a new golden age and what detractors call the onset of gentrification. 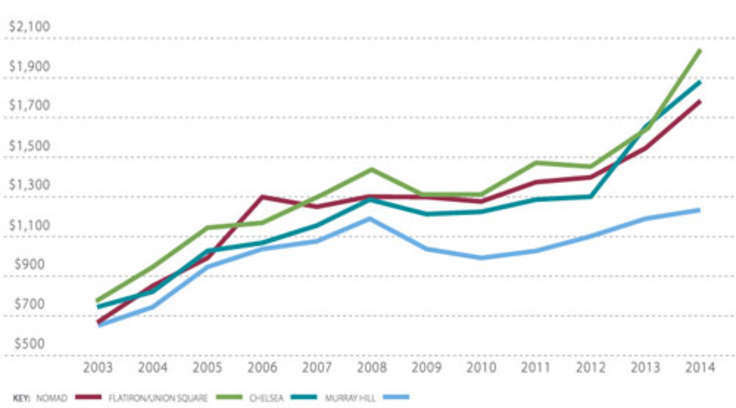 CityRealty ranks Karl Fischer’s top projects throughout New York. The Gretsch Musical Instrument Factory conversion was Fischer's first major New York project. 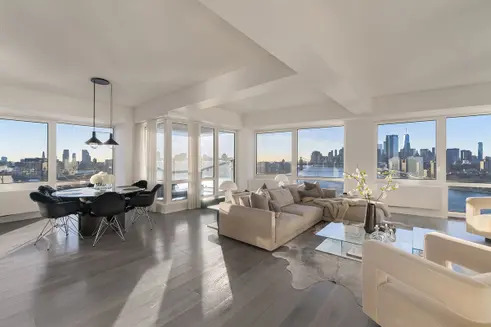 The exteriors were largely left alone, but the interiors were gutted and transformed into luxury condos. 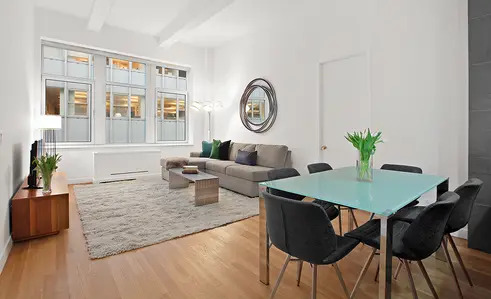 The building's rich history and beautifully appointed apartments quickly attracted attention and indicated that there was a second life in store for industrial buildings that might have faced obsolescence. 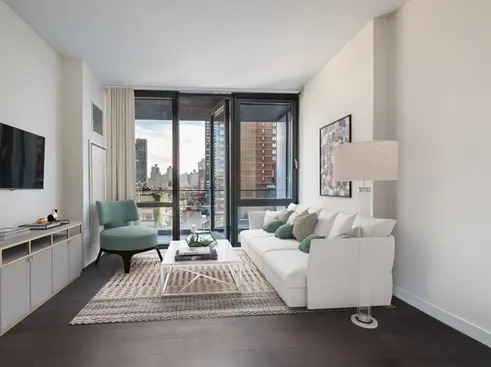 Amenities at this pet-friendly doorman building include a new children's playroom, an on-site super's services, and a common roof deck in the works. 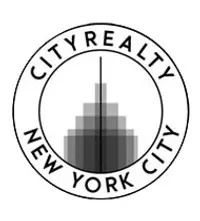 It is conveniently located near Domino Park, popular restaurants and nightlife, and a choice of subway stops. While The Gretsch (see above) was one of Fischer's earliest projects, Schaefer's Landing was the one that brought him to most New Yorkers' attention. 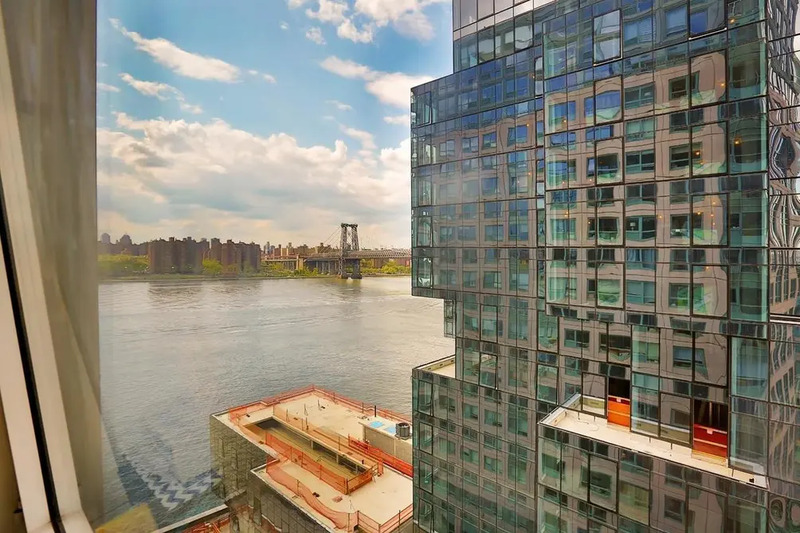 The light blue glass facades and towering heights of the three buildings were a far cry from the industrial architecture along the Williamsburg waterfront, and the condos within seemed to signal the arrival of gentrification. 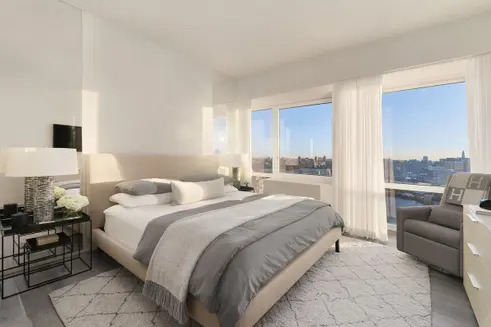 All apartments enjoy sweeping East River and Manhattan views, open layouts, and modern kitchens. 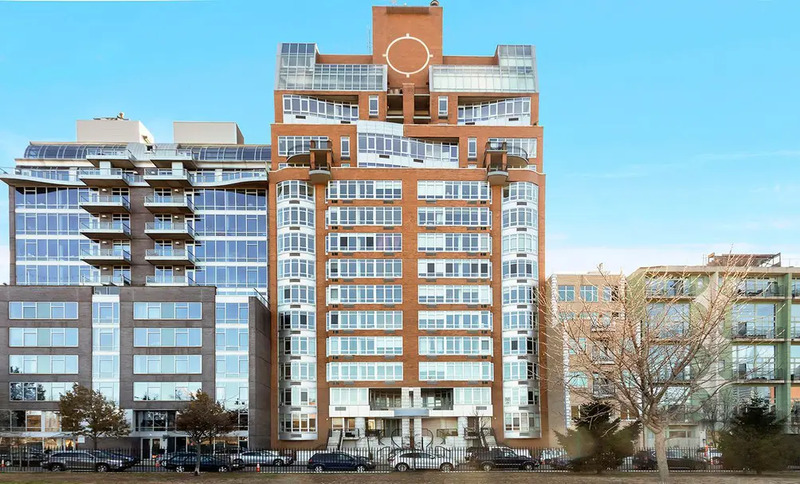 A tax abatement is in place until 2032, and residential amenities and services include a 24-hour doorman, gym, roof deck, children's playroom, and full-service garage. 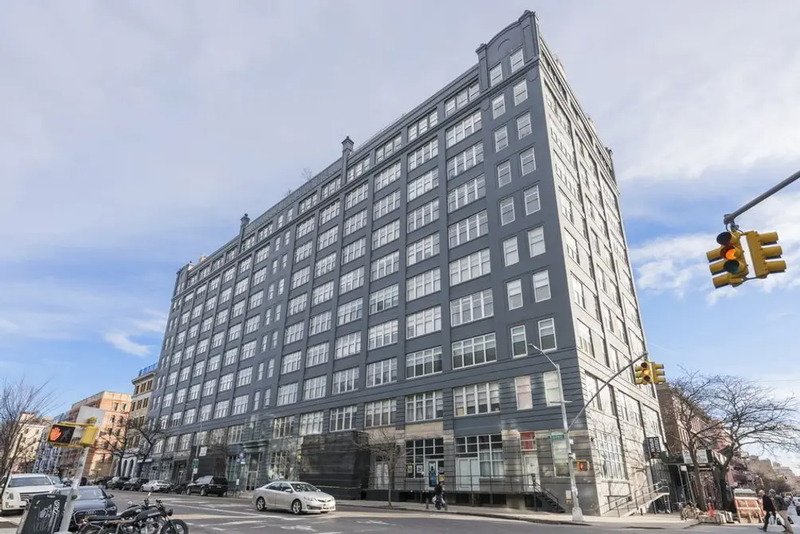 For most New Yorkers, 101 Bedford is Fischer's best-known building. 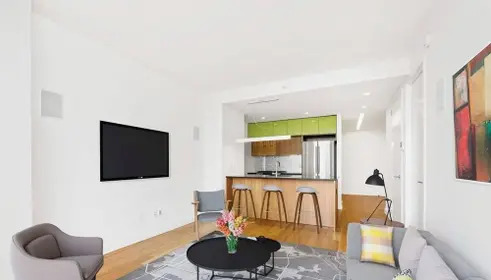 The contemporary rental across from McCarren Park offers a combination of a central location, well-appointed apartments with sleek finishes, and abundant amenities that set new standards for Williamsburg, if not Brooklyn as a whole. 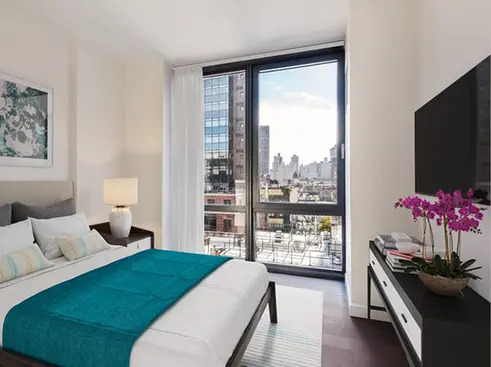 All units feature floor-to-ceiling windows, wide-plank hardwood flooring, modern kitchens, and excellent closet space. Residents have access to a courtyard garden, lounge, party room, library, children's playroom, fitness center, pool, hot tub, and roof deck with cabanas and grilling areas. 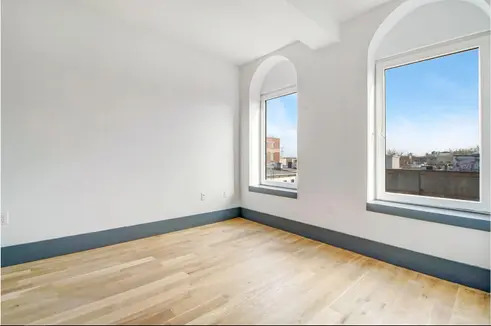 As the tallest building on McCarren Park, 20 Bayard Street offers incredible views and stands at the head of a collection of buildings colloquially known as "Karl Fischer Row." Its height, red brick facade, bay windows, and imaginative setbacks set it apart and make it an unofficial landmark. All apartments feature interiors by Andres Escobar, grand proportions, abundant natural light, chef's kitchens, and luxe master suites. 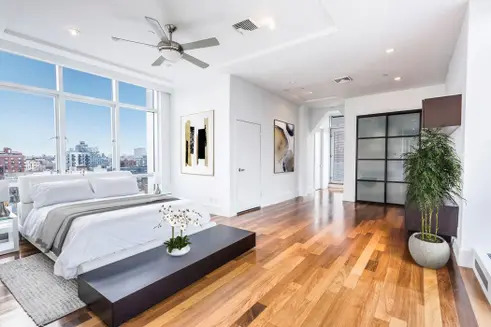 This doorman building's amenities include private gardens, deeded parking places, dedicated storage units, a fitness center, a playroom, and a common roof deck. 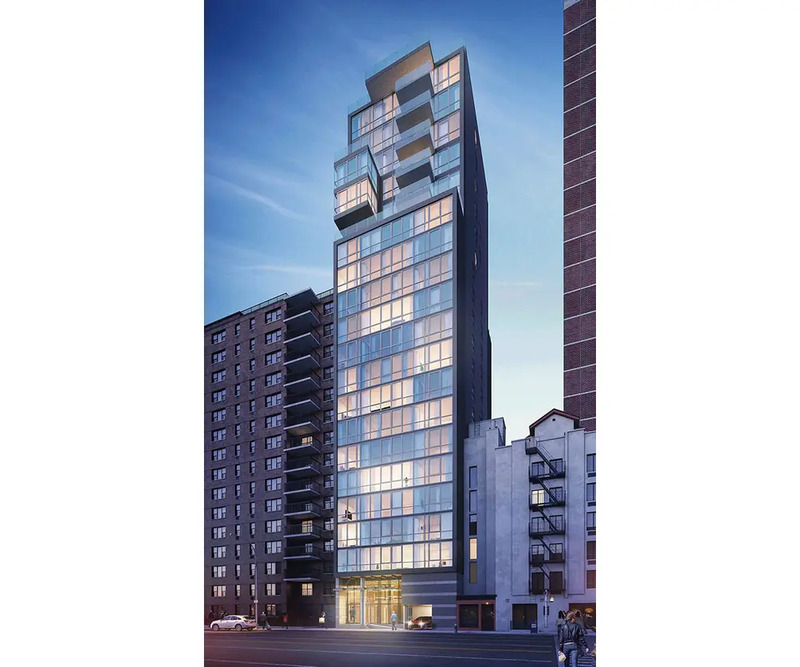 Another entrant on "Karl Fischer Row," the nine-story Ikon features a new setback tower on top of a warehouse in the only conversion of Fischer's new Bayard Street buildings. The whole development was instrumental in transforming this stretch of Bayard Street from an abandoned area to a highly desirable residential one. 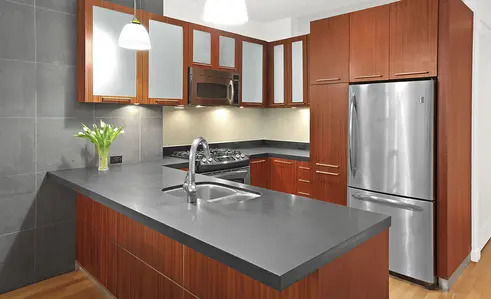 All apartments feature soaring ceilings, Brazilian walnut flooring, contemporary kitchens, and luxurious baths. 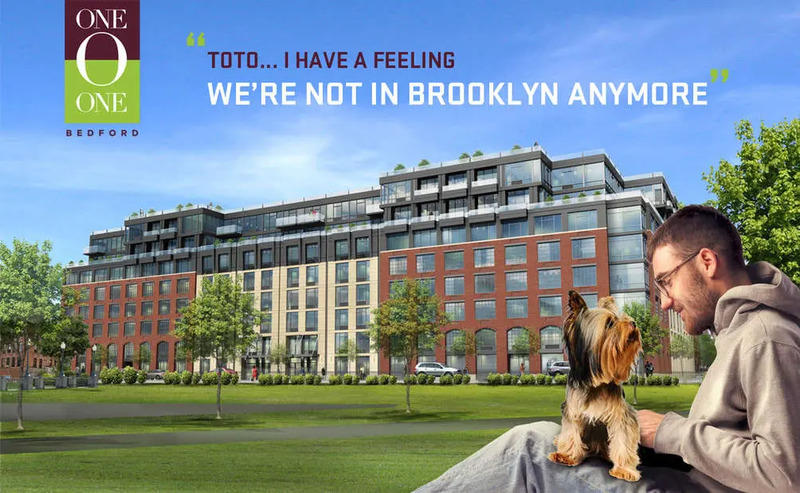 Select units have private terraces, and all residents have access to a J-51 tax abatement, a full-time building manager's services, a fitness center, and an outdoor common area. The clean lines, glass facade, and modern characteristics of Fischer's Upper East Side design set new standards for Yorkville. 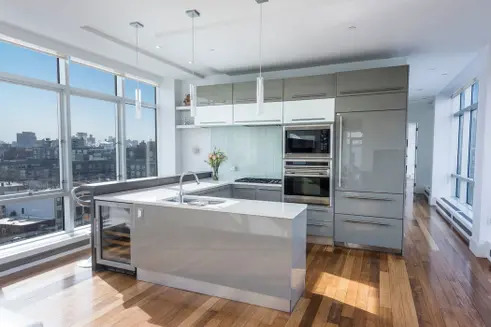 It is practically on top of the 96th Street stop of the new Second Avenue subway, which is bringing new life to sections of the Upper East Side along with passengers. 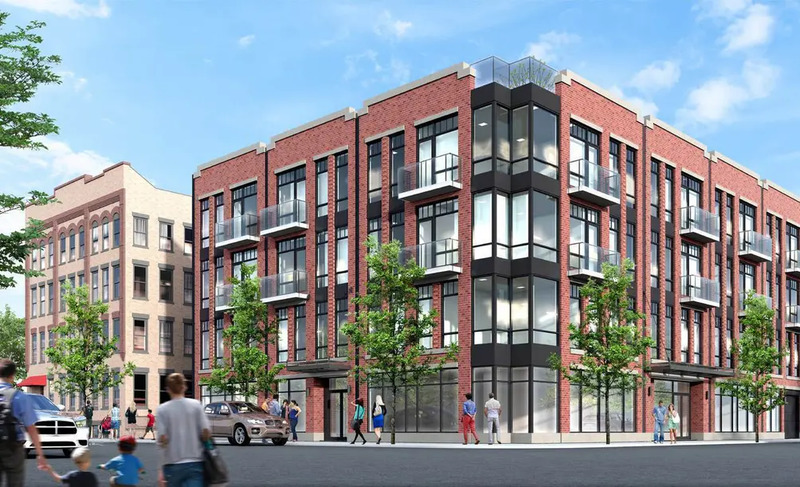 The Frederick's detailed masonry, bay windows, and red brick facade would make an impression anywhere, but its combination of classic design and modern luxury bring a new set of standards to its Crown Heights block. 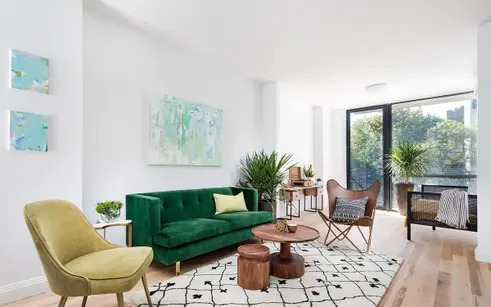 It is on a quiet tree-lined street, but one with easy access to Prospect Park, the Brooklyn Museum, and Brooklyn Botanic Gardens. All residences boast 9' ceilings, maple hardwood floors, stainless steel appliances in the kitchen, in-unit washer/dryers, and private baths. A richly appointed lobby welcomes residents and visitors, and additional amenities include a collaborative workspace, fitness center, roof deck, and storage. 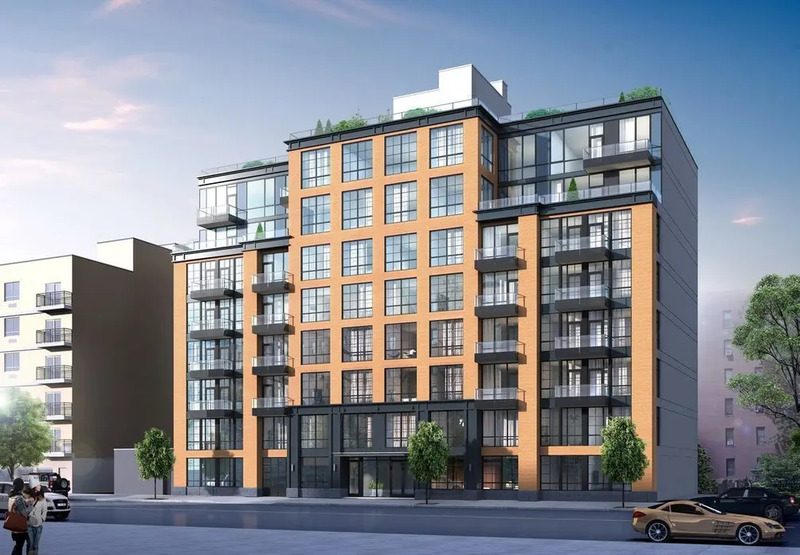 2100 Bedford Avenue is part of a new crop of condos that ensure that Prospect Lefferts Gardens won't stay a quiet Brooklyn neighborhood for much longer. 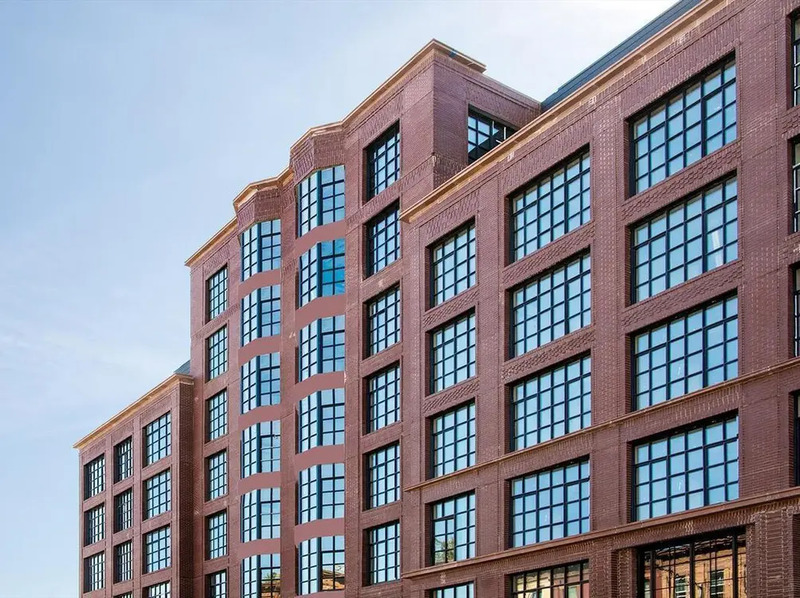 Its red brick facade, black metal accent, oversized windows, and glass balconies set it apart and serve as a harbinger of increased activity in the area. 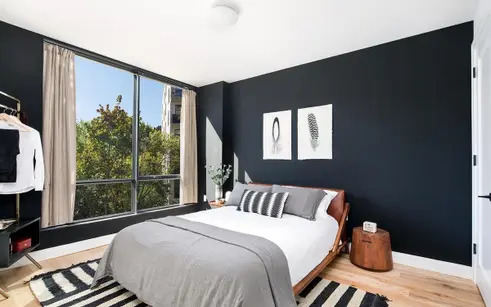 All apartments feature contemporary aesthetics, high ceilings, parquet floors, high-end kitchens, and well-appointed baths. Amenities include a virtual doorman, lounge, fitness center, billiards room, bike room, on-site parking, storage, and roof deck. 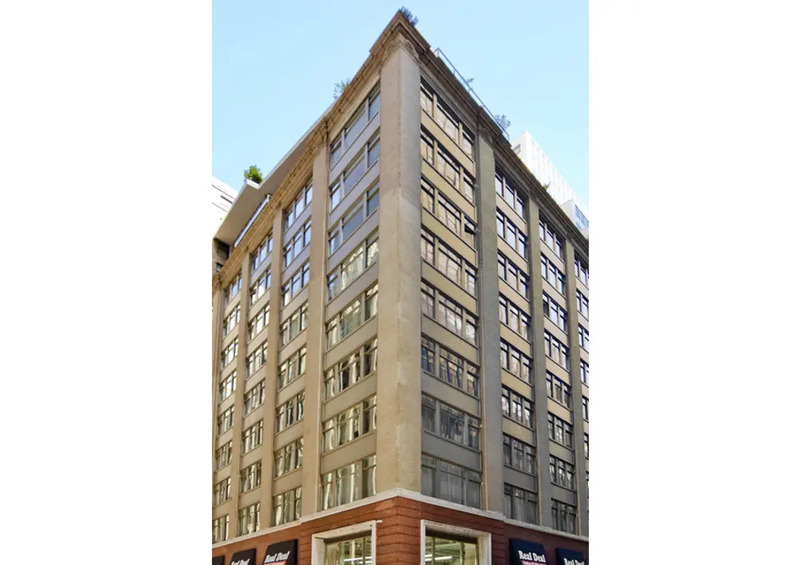 As the Financial District started to come back to life, three floors were added to this building and the offices were transformed into condominiums. The setback addition gave the building an appealing new shape, and a red brick base adds character to the beige building. 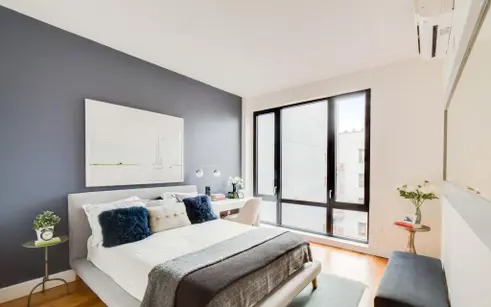 All apartments boast interiors by Andres Escobar, dramatic ceiling heights, walls of windows, open kitchens, abundant closet space, and deeded private storage. 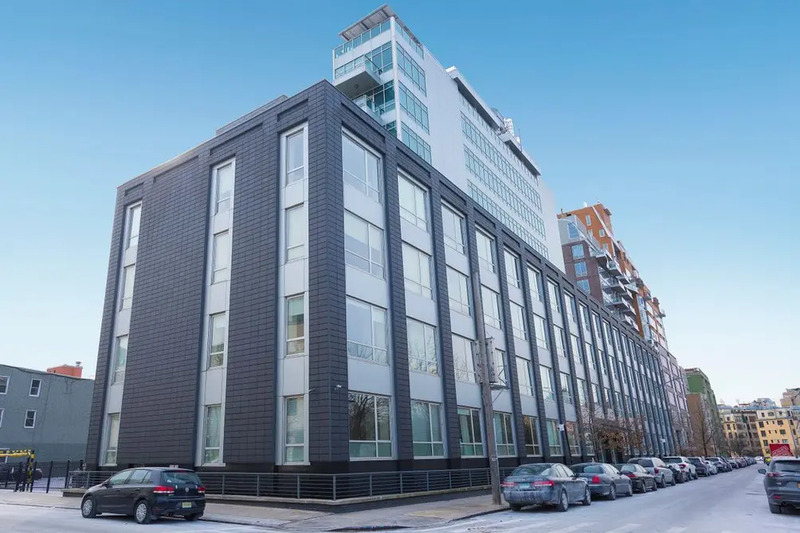 A 421-G tax abatement is in effect, and full-service building amenities include a Zen garden, fitness center, media lounge, and roof deck with barbecue and lounge areas. 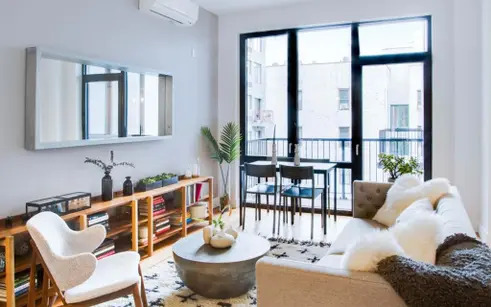 As Bushwick emerged as one of Brooklyn's hippest neighborhoods, The Mosaic went up as one of its hottest new rentals. 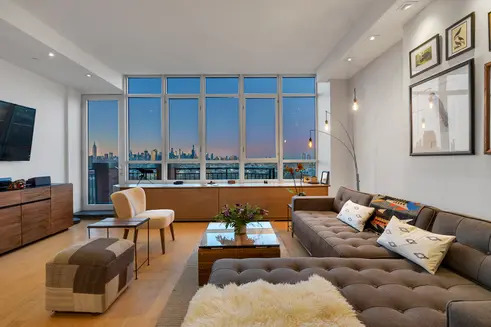 The low-rise height and red brick facade are respectful of the surrounding streets, but the metal accents, oversized windows, and glass balconies provide unmistakably modern touches. 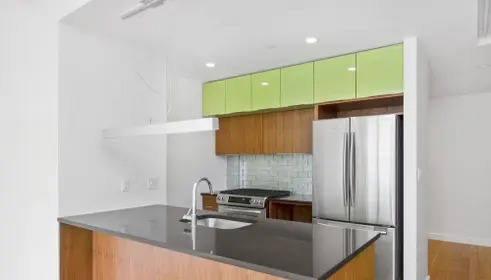 All apartments feature excellent light, solid oak hardwood floors, spacious rooms, and kitchens with stainless steel appliances. 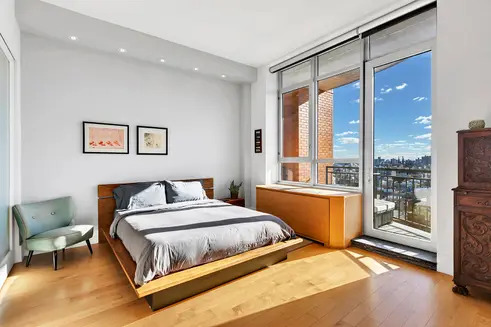 Amenities include a fitness center with weights and cardio equipment, a common laundry room, an enclosed patio, a bike room, and a common roof deck.